Prince Max was in the Chinese city of Shanghai on Tuesday to attend the opening of the "Rubens, Van Dyck and the Flemish School of Painting - Masterpieces from the Collections of the Prince of Liechtenstein" exhibition which includes about 100 oil paintings, prints and tapestries. All art works in the exhibition at the local China Art Museum are owned by the Princely Collection of the House of Liechtenstein, who had already lend a number of paintings to museums in Singapore and Beijing last year. The International Channel Shanghai covered the official opening in their news, the video including an interview with Prince Max, can be found here. 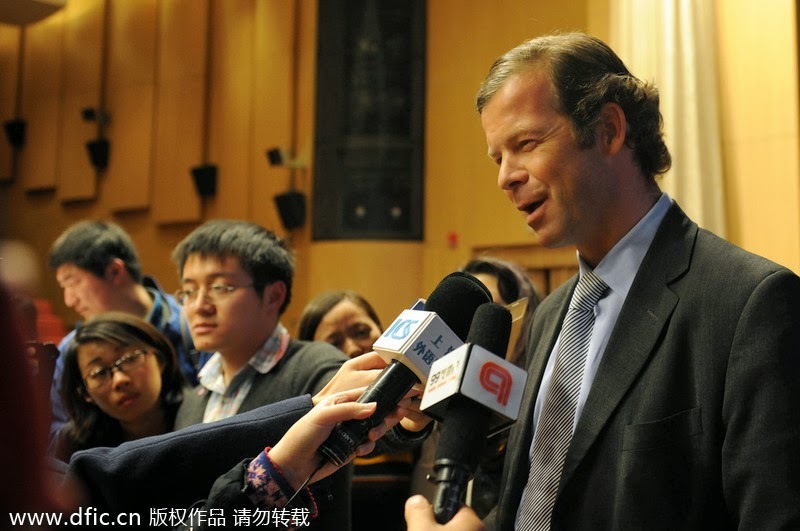 In another interview with the Global Times the second son of Prince Hans-Adam II revealed that Peter Paul Rubens' painting of his daughter Clara Serena was his personal favourite in the exhibition. The Shanghai exhibition will around until June 2nd; for more information, have a look here.